Based on the composite beings - known from sci-fi movies - the Magis chair is a component of multiple elements of natural and artificial parts. As the club version of the cyborg, it consists of a frame from polycarbonate and a backrest made from wicker. The Cyborg armchair by Marcel Wanders is the basis for the Cyborg series, which consists of other two components chairs that are upholstered, available with wood or plastic armrests. 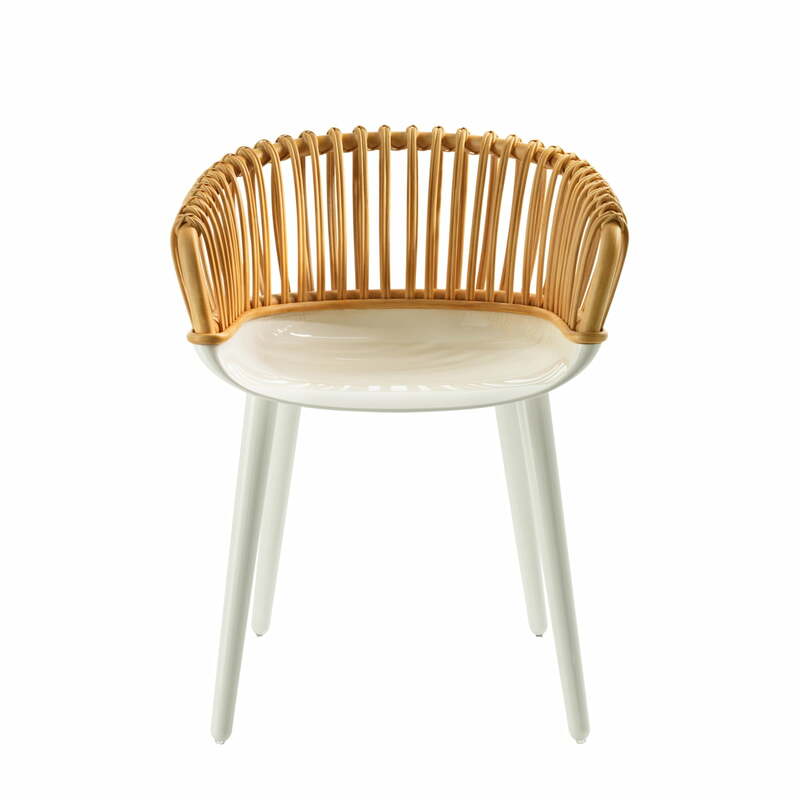 Single image of the Cyborg Club chair by Magis in white/natural. The seat and the legs are made of opaque plastic in white and the rest of wicker netting in nature. 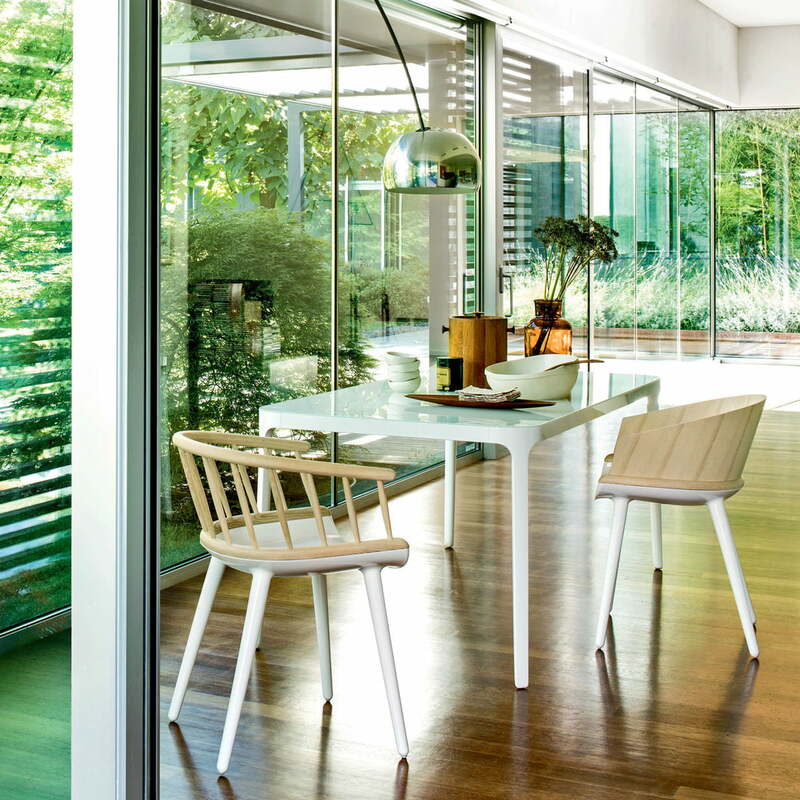 The cyborg Club chair by the Italian manufacturer Magis in the version with a white frame and wicker weave in nature fits particularly well in bright rooms. 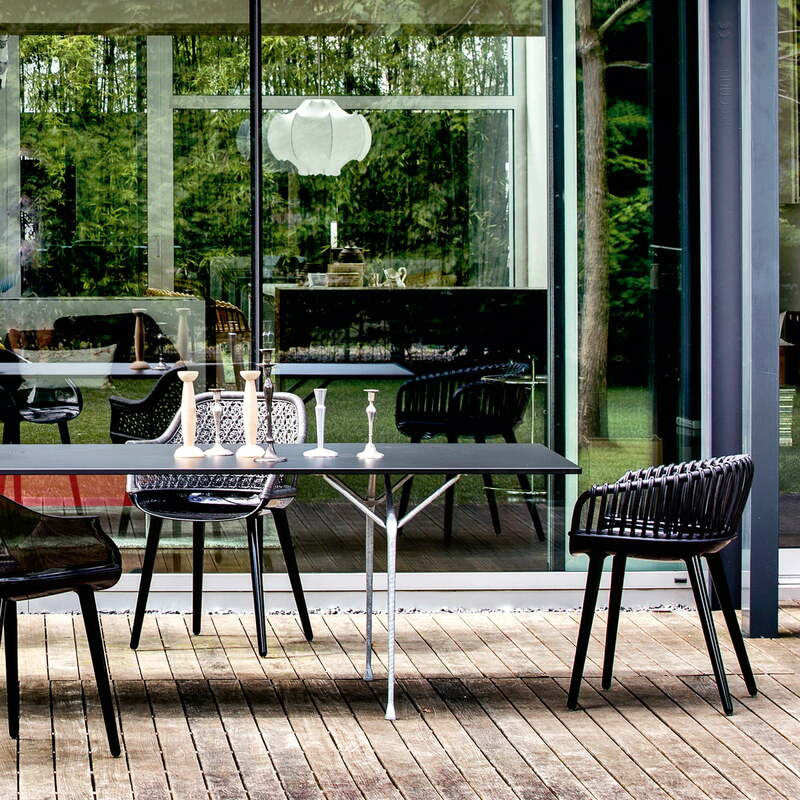 As plastic, Club or elegant variant in black the Cyborg chairs can be wonderfully combined with the industrial tables such as the Offcina table. A successful mix of materials for both indoor and outdoor. The Cyborg chair with white base can be easily combined with different dining tables such as, for example, the big Will Table by Philippe Starcke. The white of the base is repeated in the tabletop - an individual and harmonious dining room group with style. 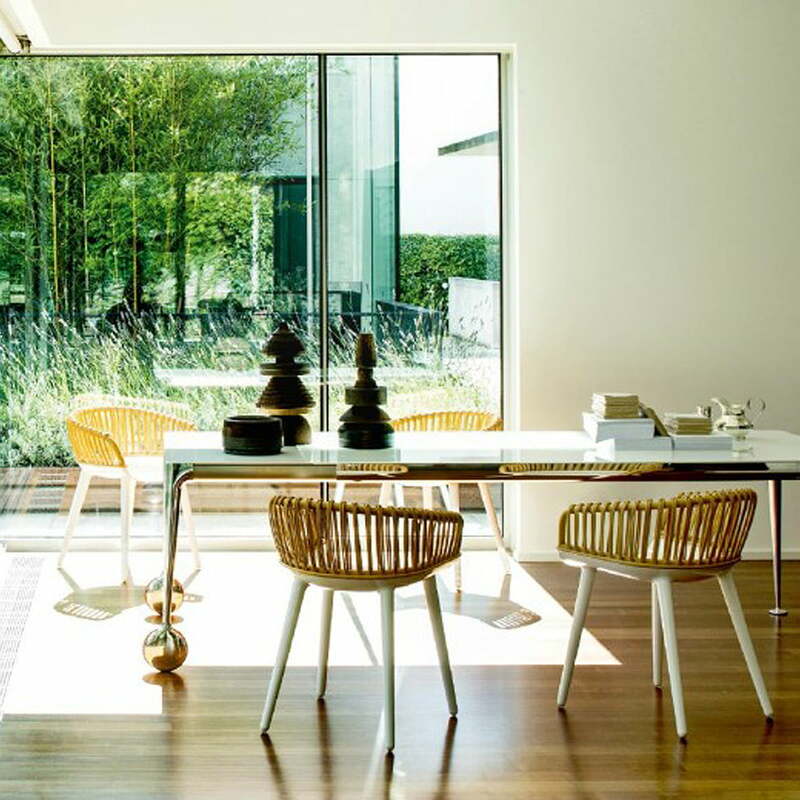 Clean, modern, and natural - the combination of white and natural wood just like the Cyborg chairs by Marcel Wanders for Magis bring order and comfort in the living and dining area.